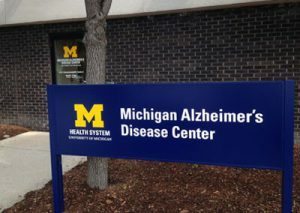 Housed in the U-M Detroit Center, the University of Michigan Memory and Aging Project (UM-MAP) is the primary research study at the Michigan Alzheimer’s Disease Center. UM-MAP investigates changes related to memory and thinking over time so that researchers can learn about normal aging and neurodegenerative disease. Study participants engage in annual visits which include a physical exam, a neurological exam, a history and symptom survey, a blood draw, and tests of memory and thinking. UM-MAP is an observational study and no drugs or experimental treatments are used. The study team partners with the U-M Detroit Center to facilitate study recruitment in the urban environment. The study team is currently seeking participants that meet the following criteria: Adults with or without cognitive changes, over the age of 55. If you are interested and meet the criteria, please contact Holly Bunker at hlbunker@med.umich.edu or call (734) 615-5319.